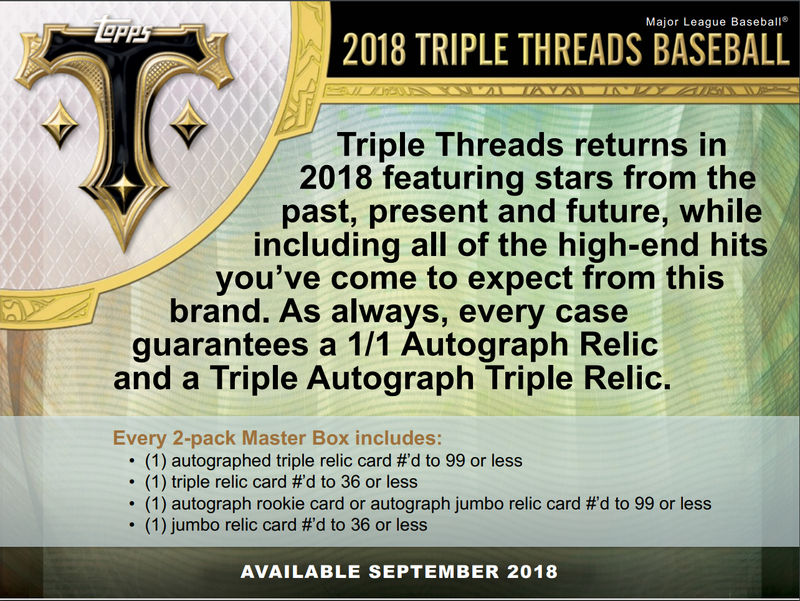 Configuration: 18 master boxes per master case. 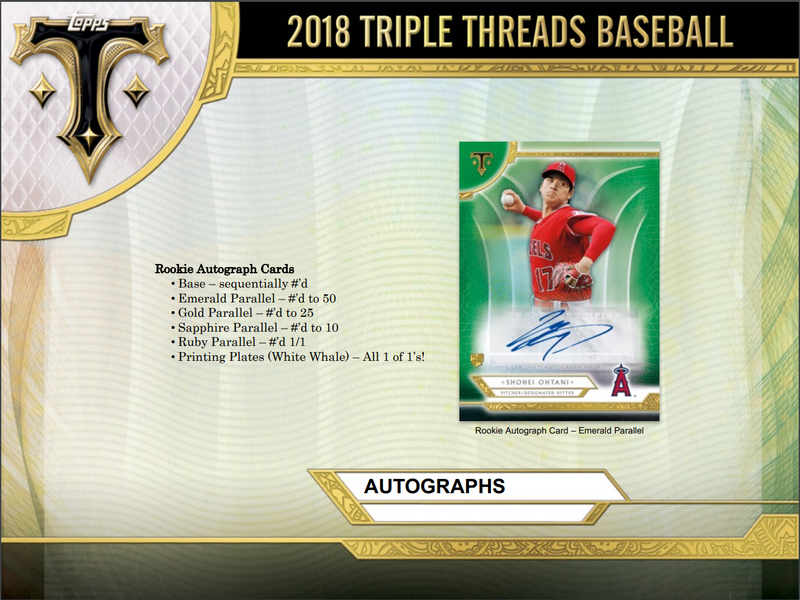 9 master boxes per inner case. 2 mini boxes(packs) per master box. 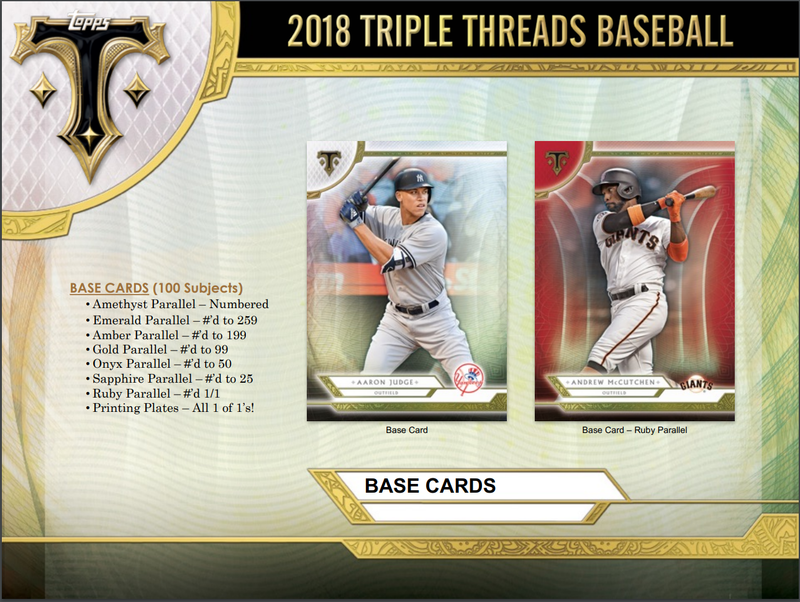 7 cards per mini box(pack). 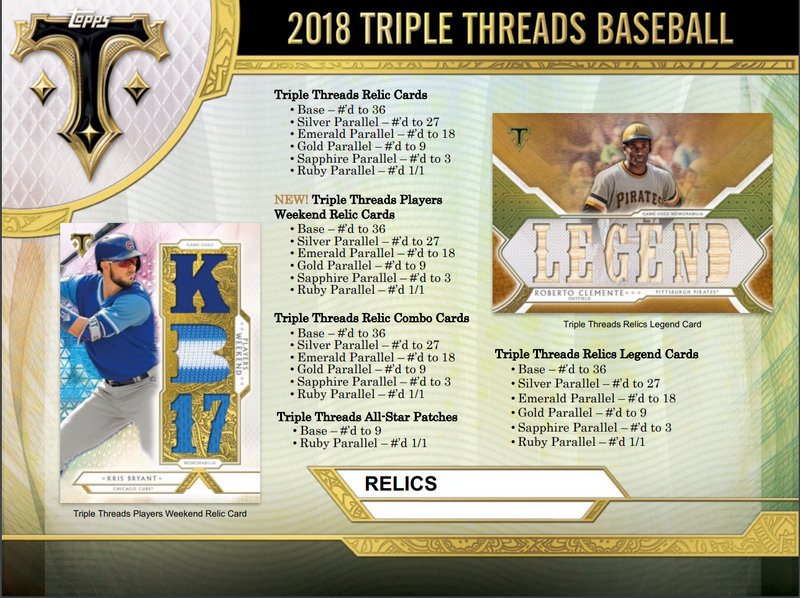 - Printing Plates (White Whale) – All 1 of 1’s! 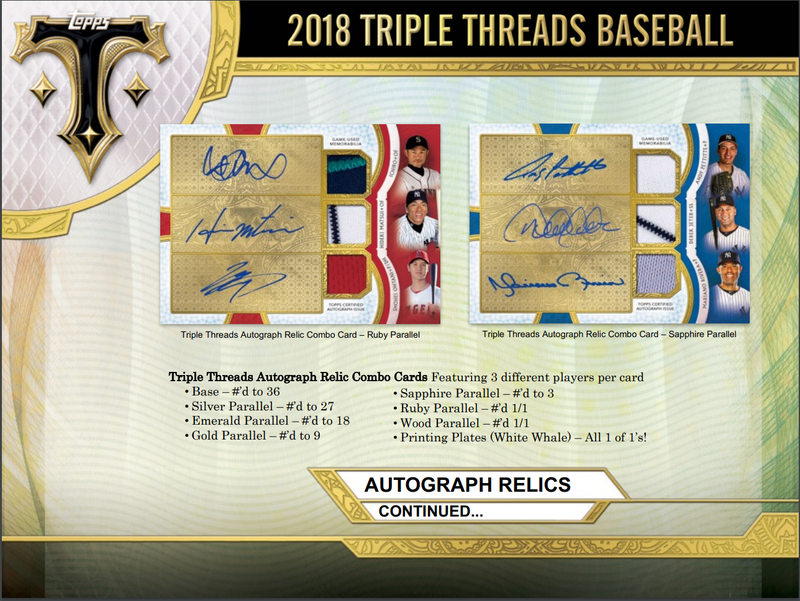 Featuring relic and cut signatures #’d 1/1. 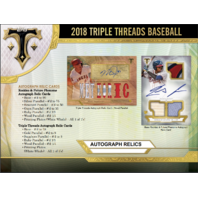 featuring 2 players and their relic and cut signatures #’d 1/1. 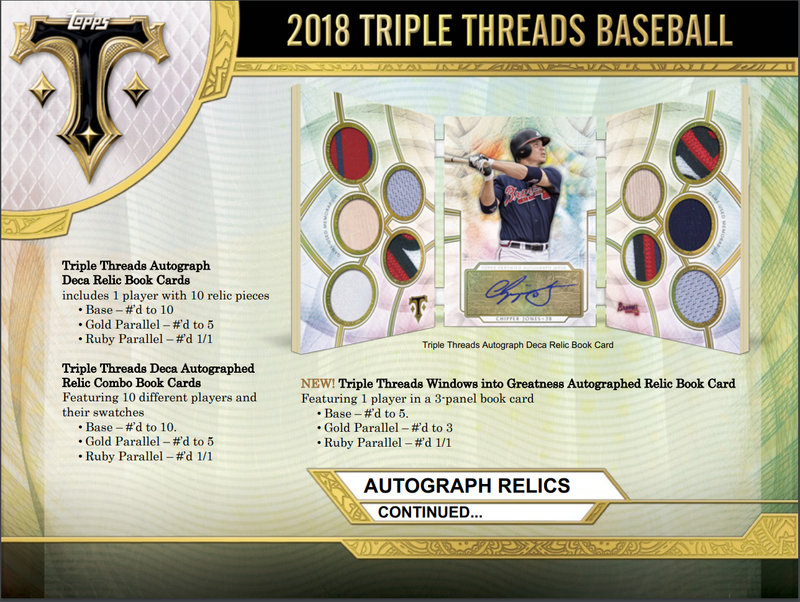 - Base – #’d to 10. 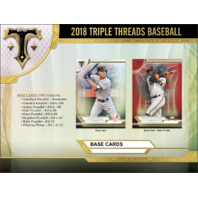 - Base – #’d to 5. 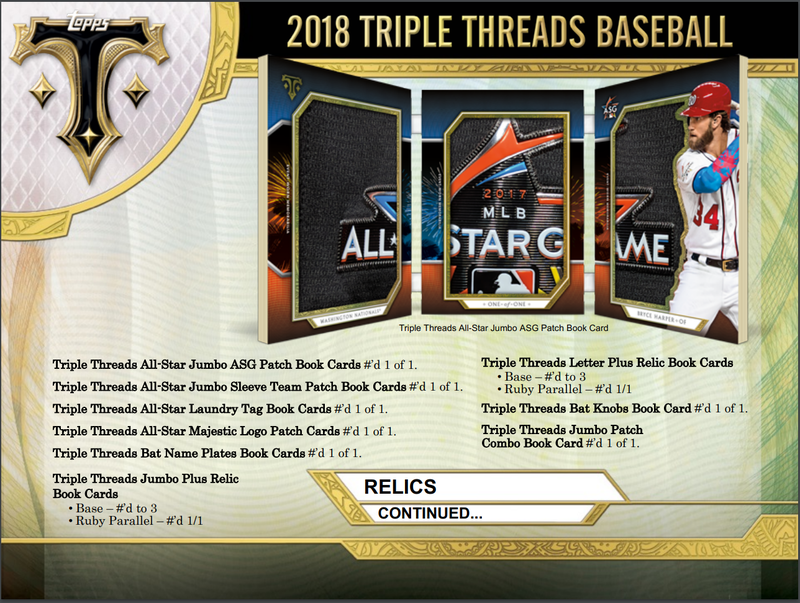 Triple Threads All-Star Jumbo ASG Patch Book Cards #’d 1 of 1. 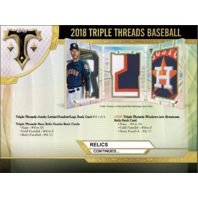 Triple Threads All-Star Jumbo Sleeve Team Patch Book Cards #’d 1 of 1. 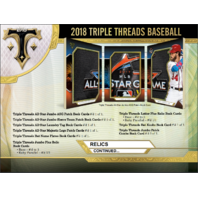 Triple Threads All-Star Laundry Tag Book Cards #’d 1 of 1. 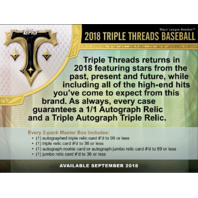 Triple Threads All-Star Majestic Logo Patch Cards #’d 1 of 1. 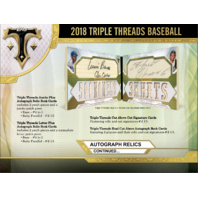 Triple Threads Bat Name Plates Book Cards #’d 1 of 1. 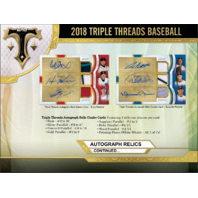 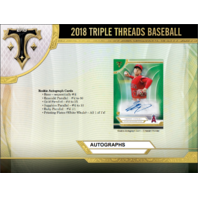 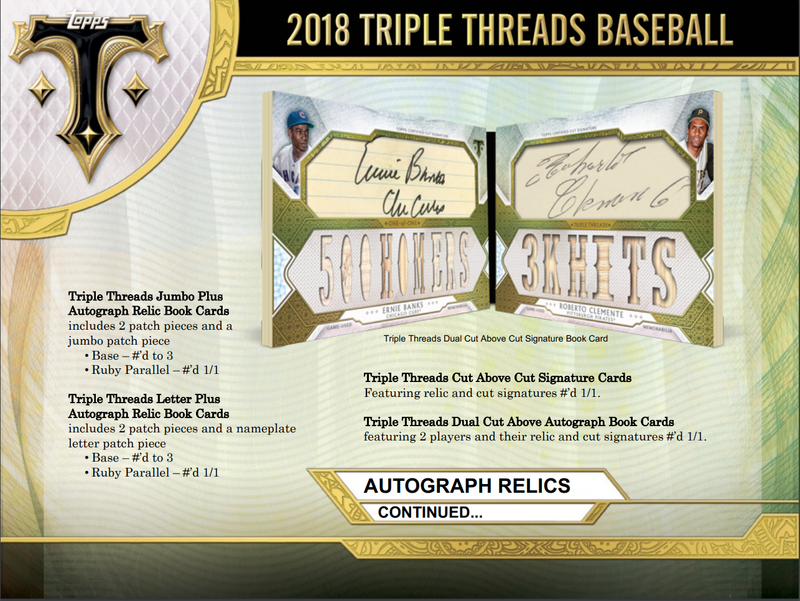 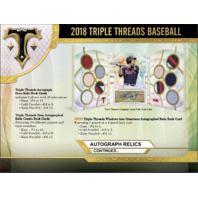 Triple Threads Bat Knobs Book Card #’d 1 of 1. 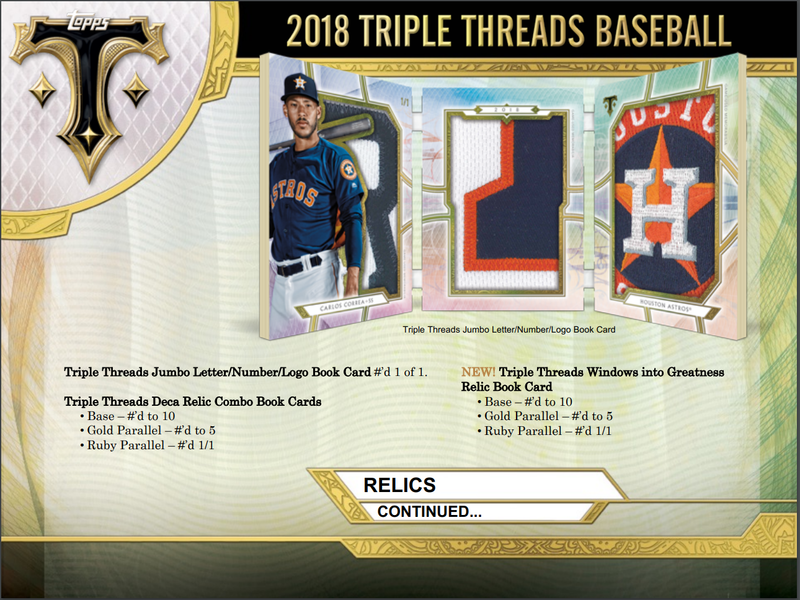 Triple Threads Jumbo Patch Combo Book Card #’d 1 of 1. 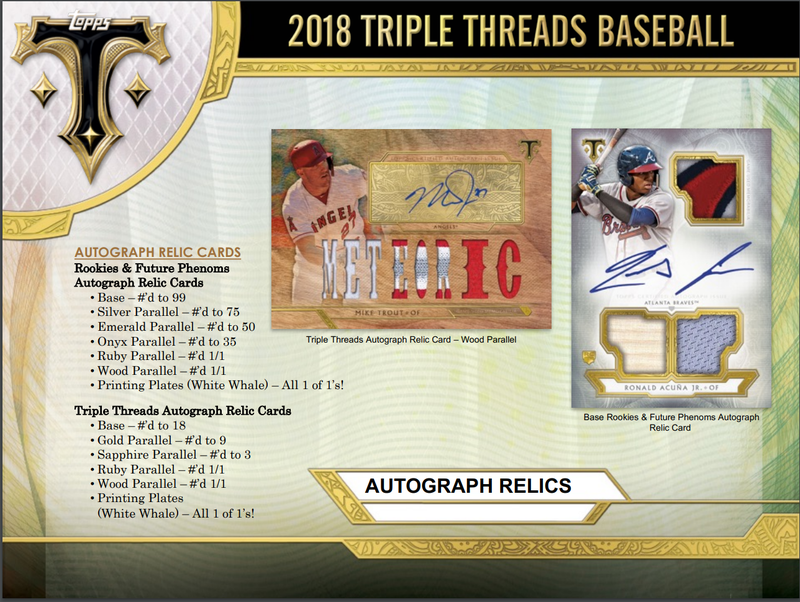 Triple Threads Jumbo Letter/Number/Logo Book Card #’d 1 of 1.